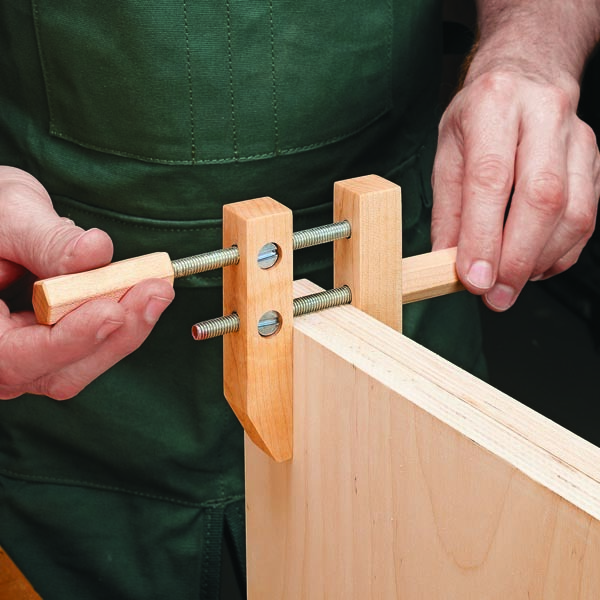 Traditional handscrew clamps are great for many woodworking tasks. But on small parts and some assemblies, they can be overkill. I figured out a way to make my own small handscrew clamps using scraps of hardwood and readily-available hardware. The 4″ clamp shown here is handy for a lot of tasks, but you can make them any size. 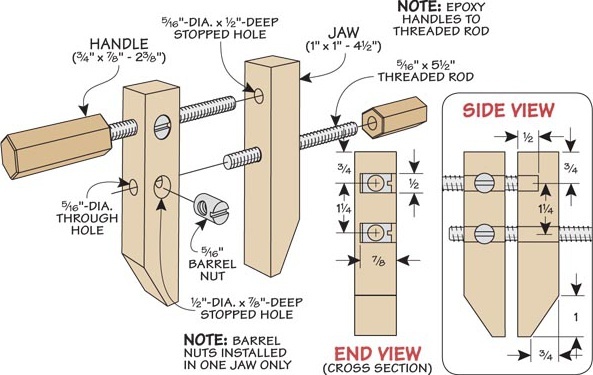 The drawing shows what you’ll need to put a clamp together. Threaded rod and barrel nuts perform the work with shop-made handles as a final touch. As you can see, the upper hole in one of the jaws is stopped. This allows the rod to expand the jaws. Even though these clamps don’t open and close the same way as traditional handscrews, it doesn’t take long to get the hang of it.